We've studied word problems that allow for you to write an equation in slope intercept form. How do we know when a problem should be solved using an equation written in standard form? As you are reading and analyzing the word problem, if you find that you can set up an addition problem, and you have a set total (constant), then you will be able to write an equation in standard form. Your school is sponsoring a pancake dinner to raise money for a field trip. You estimate that 200 adults and 250 children will attend. Let x represent the cost of an adult ticket and y represent the cost of a child ticket. Write an equation that can be used to find what ticket prices to set in order to raise $3800. First, think about what we know. We know that you want to raise $3800. This is a constant. Therefore, it will be C in your standard form equation. We also know that in order to find our total, we need to multiply the number of people by the cost of the ticket. If we add the adult tickets and children tickets together, we will have a total. Here's a more thorough explanation. I know how difficult it is to not only learn the skill, but then to be able to apply the skill. It is hard and unfortunately, it just takes practice! 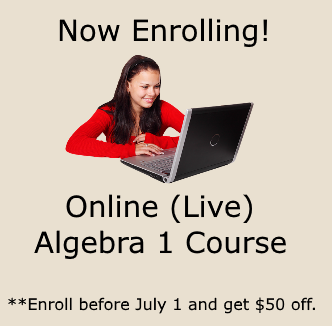 If you are struggling with this concept, then check out the Algebra Class E-course. 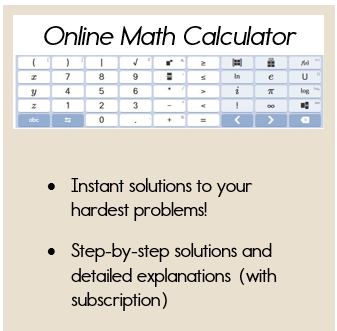 Within this E-course, you will find a lot of word problems that will not only help as you study for your tests, but that will also help you in real-life situations. Often times, text book word problems are pretty "far out"; however Algebra Class word problems are more realistic and easy to relate to every day living. Example 2: Another Word Problem! You are running a concession stand at the basketball game. You sell hot dogs for $1 and sodas for $0.50. At the end of night, you made $200. Let x represent the number of hot dogs sold and y represent the number of sodas sold. Write an equation that can be used to determine how many hot dogs and how many sodas were sold. We know that our total for the end of the night was $200; therefore, it is our constant (C) in the equation. We also have information for the price of the hot dogs and the price of the sodas. Here's another way to think of it! I know it's hard to imagine when you will need to use this skill, or even how to solve problems written in this form. You will be writing these equations and solving them when you get to the Systems of Equations Unit. So, stick with me - it will all come together and make sense.